Chicago has always been a lively city with a big focus on entertainment. The Windy City is known all over the world for its comedy clubs and live music venues, as well as its exceptional performing arts scene, and one of the latest and greatest additions to the world of live entertainment in Chicago is the Windy City Playhouse. Opened back in 2015 in the northwest side and now featuring a secondary location in the South Loop, the Windy City Playhouse offers a warm, welcoming, beautifully decorated and furnished space for guests to come and enjoy a wide and wonderful array of amazing live entertainment with unique features like revolving stages and immersive scenes. 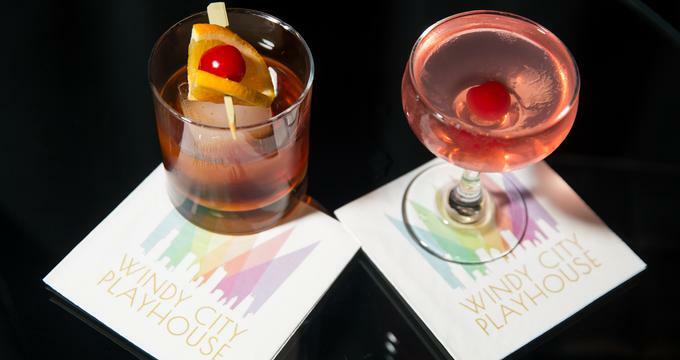 For a new and truly unique taste of Chicago theater, you have to visit the Windy City Playhouse. -Irving Park - The Irving Park location of the Windy City Playhouse is in the northwest side at 3014 W. Irving Park. Street parking is available in the local area and the theater can be reached with ease by car or public transport, with the number 80 bus stopping just a short walk away. -South Loop - The South Loop location of the Windy City Playhouse is at 2229 S Michigan Ave just off the Stevenson Expressway in the Motor Row district. Street and valet parking are available and the local bus station, McCormick-Cermak, is less than five minutes away. Tickets for shows can be purchased online and you’ll find some great bars and eateries in the local area around the theaters, as well as a full menu of beers, wines, and spirits at both locations, as well as snacks and desserts at the Irving Park location. The Windy City Playhouse offers a wonderful, eclectic calendar of high quality live shows and events all through the year, with the likes of 'Southern Gothic' and 'Noises Off' already proving huge hits, and you can attend any of these events with ease and purchase your tickets securely via the official site. -Bronze - Bronze members are able to redeem their subscription tickets for any Wednesday shows. -Silver - Silver members are able to redeem their subscription tickets for any Wednesday, Thursday, or Sunday shows. -Gold - Gold members are able to redeem their subscription tickets for any shows on any day of the week. -Platinum - Platinum members have the same advantages as Gold members, but this plan also includes a $100 donation for the Windy City Playhouse, allowing you to show your support for the venue and contribute to the arts in Chicago. -Save - Becoming a subscriber and seeing multiple shows over the course of the season is a cheaper option than paying for individual tickets. Not only that, but all subscribers get a 25% discount on additional ticket purchases, so if you'd like to bring a guest or two along with you then you can buy tickets for a fraction of their usual cost. -Support - Signing up for a subscription plan allows you to support innovative, creative, imaginative theater at one of the best live entertainment venues in Chicago. The arts need support and creative minds need help to continue providing these amazing performances and services, so this is a great way to show your appreciation. -Priority - Subscribers get first choice over all showtimes, with exclusive access before the shows actually go on sale to the general public. This is a great way to ensure you’ll always see the shows on the days you want to see them to fit in with your own personal schedule and commitments. -Exchange - Subscribers have full access to a ticket exchange program, so if you can't make a show for one reason or another, you can simply swap your reservation over to a different night without any added cost. -Bonuses - Windy City Playhouse subscribers are treated like a part of the family and will enjoy exclusive deals, invitations, and more throughout the course of the season. With so many great advantages, it really makes a lot of sense to sign up for a subscription. Theater lovers in Chicago especially won’t want to miss out on these awesome shows, so be sure to check out the full details and sign up for your subscription or buy some tickets today.